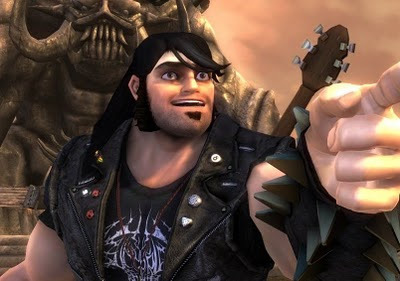 The Source has a huge clearance on brand new video games going on right now, including Tim Schafer's music-inspired RTS, Brütal Legend. The game is retailing for a mere $14.96, which is a cool $55.03 off the regular price. Dozens of other video games are similarly on clearance for all consoles (Wii, PS3, Xbox 360, PSP, DS, PS2). All clearance games can be looked at by going to the clearance homepage here. Click on whatever console or handheld that suits your interest on the left. There are a handful of PS2 games on sale for $4.96 including MLB 09: The Show, Guitar Hero: Aerosmith, and Madden NLF 09. With so many great games on sale for so cheap there something for everyone here. Better hurry though, clearance means once they're gone, they're gone.